The Fort Collins Local History Archive has more than 200,000 photographs, slides, and negatives that chronicle the people, places, and events that have shaped the history of Fort Collins and surrounding area. More than 30,000 images across these collections have been digitized and are searchable online. Thousands of photographs have not been scanned, however; many of these may be perused at the Archive by viewing the Photograph Vertical Files. These files are organized Fort Collins, Larimer County, and Colorado subjects and places, as well as by surname. 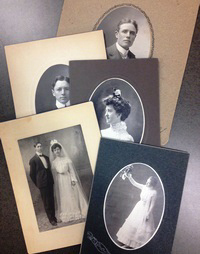 Though digitization of the collections is ongoing, many photographs are not yet online.